An onion can be peeled. An onion can be sliced. An onion can be squashed to emit a bitter white pulp. An onion can be bloodless on the inside. An onion-paleness like paleness of some skin, with the hint of greenish vein below the surface. An onion produces what it produces. An onion can be a machine. An onion sometimes is a machine of nature. of an eye made of circles that is blind and static. It is a product blind and static. Emotions are products too. Who is my onion? Onion is a tear. Onion of my eye. Ida, my onion. in a town square. 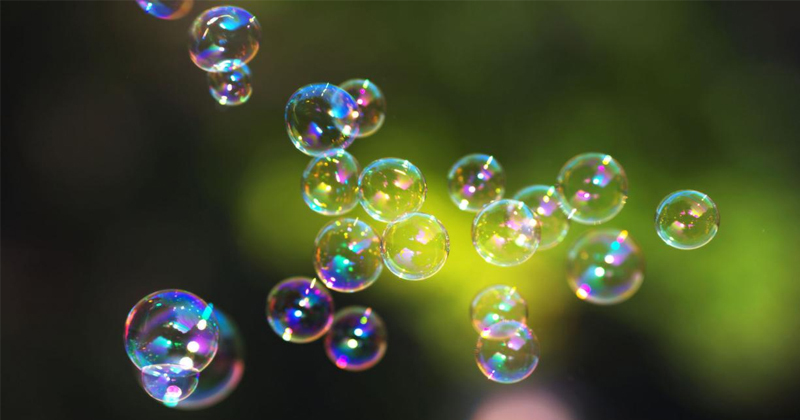 How those beautiful wobbling rainbowesque bubbles suddenly broke under their own weight, bursting air. Ida can be abundant, almost maternal. Ida is what I cannot feel or see. I put my face into the jeans of Ida. I think to myself. Or is it “is” rotting? what the cerulean meant. I just had to push my face deeper into the cerulean. From My Ida. Used with permission of Ugly Duckling Presse. Copyright © 2018 by Simone Kearney. 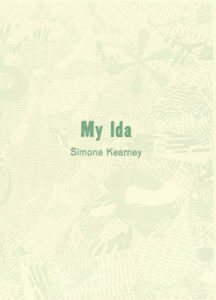 Simone Kearney is author of My Ida (Ugly Duckling Presse, 2017), and In Threes, a limited edition artist chapbook (Minute BOOKS, 2013). She has also published poems in Boston Review, PEN Poetry Series, Stonecutter, Supermachine, Post Road Magazine, and Maggy, among others. She was a 2014 recipient of a New York Foundation for the Arts fellowship in poetry, and a 2010 recipient of an Amy Award from Poets & Writers. 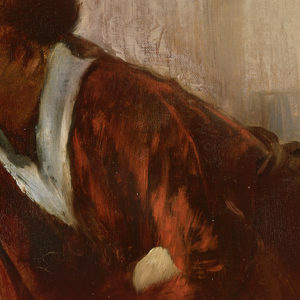 She has an MFA in Creative Writing from Hunter College (2010), and an MFA in Painting from the Maryland Institute College of Art (2016). She has been awarded residencies at The Lighthouse Works, the Josef and Anni Albers Foundation, The Edward F. Albee Foundation, the Woodstock Brydcliffe Guild, and Ragdale. She currently teaches at Parsons New School for Design and Rutgers University.